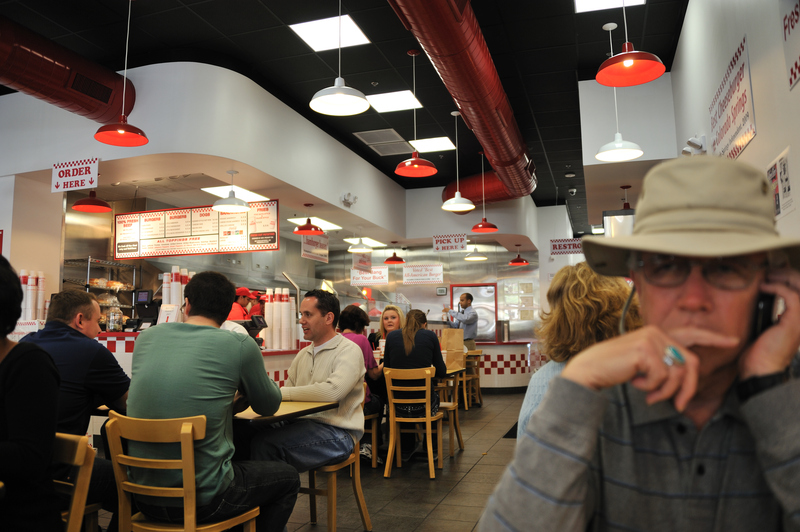 When we went on our Light Rail Photo Crawl a couple of weeks ago, we had lunch at the fabulous Five Guys Burgers and Fries. 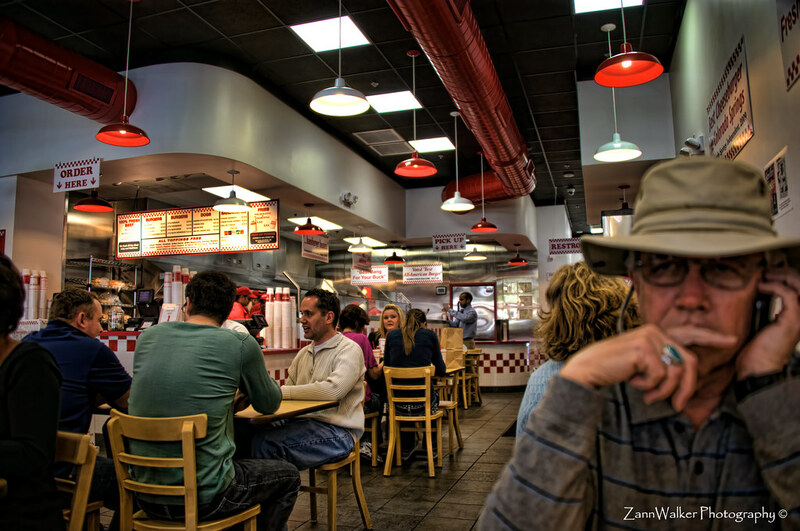 Even though it was President’s Day, and thus a holiday for most of the people who normally work downtown, Five Guys was hoppin’! This was our first time to experience the world’s best french fries, but we’ll definitely be making a return visit. I shot this image with my Nikon D700 and the 28-300mm zoom. I decided to process it in Topaz Adjust and give it a pseudo-HDR feel, thanks to some inspiration from this recent post from Steve Skinner, one of my favorite Flickr contacts. Although his image is a true multi-exposure HDR, I tried to recreate the look somewhat in this single image exposure using the Topaz presets. I was pretty pleased with how it came out. And yes, that was Andy taking a phone call from work on his day off. This entry was posted in Processing and tagged Arizona, AZ, camera, D700, Five Guys, HDR, Nikon, Paint Shop Pro, Phoenix, photography, software, Topaz. Bookmark the permalink.